Belle is an elegant and easy-to-knit shrug with a ruffled lace edging. 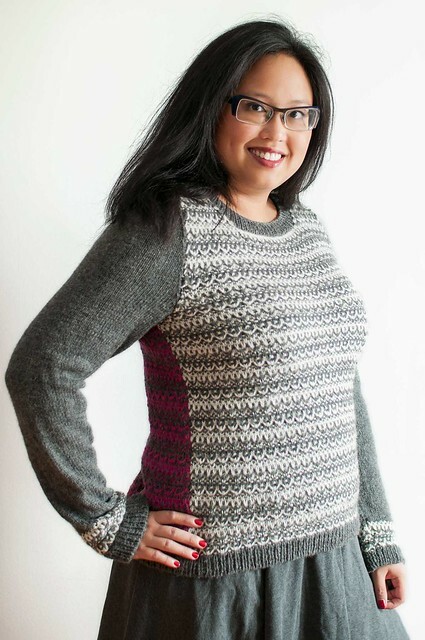 Knit in one piece from cuff to cuff, with just two short seams and flexible sizing. Perfect for throwing on over casual or more dressy outfits, this is one piece that’s sure to please! Sizing is very generous and flexible. This garment is meant to be slightly oversized. Shown in size 34-38” / 86-97cm on a 37” / 94cm bust. Shown in Elsebeth Lavold Silky Wool (65% wool, 35% silk; 192 yds / 175m per 1.75 oz / 50g skein), 6 skeins in colour 19 for 34-36” / 86-97cm size. 3-page PDF includes photos, abbreviations and schematic. Measurements in imperial and metric.